Our FREE family tree builder is the perfect tool to keep track of all your research but like any new gadget, it can take some getting used to. To make sure you get the most from your family tree, we've compiled the most common obstacles encountered by our members when using the Findmypast tree and the solutions to overcome them. You have the option to print the part of your tree that you are currently viewing by clicking the printer icon on the top right of the screen. 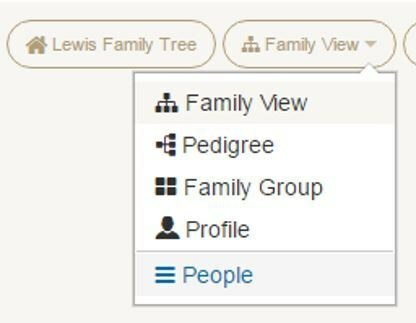 The pedigree view will allow you to print up to 4 generations of the tree. If it has more than 4 generations included, you can't print the entire tree from Findmypast. To print your entire tree, you'll need to export it to a GEDCOM file and use a specialist family tree printing service. You should be able to find plenty of them with a quick web search. If you have uploaded your tree from another source, you may notice that photographs, articles, recordings and other media don't appear. Often, they are not supported when transferring from one platform to another and will need to be added to your Findmypast tree manually. If you can't seem to find your tree or a specific ancestor on a tree, don't panic, in most cases there is a simple explanation. You may just need to change the view of the tree or stop focusing on one specific ancestor on the tree. A quick way of resolving this is by clicking 'Family View' and selecting 'People'. This will list the first 20 people in your tree and allow you search and sort them. From time to time, there may appear to be duplicates of the same person on your tree. In most cases, this is brought about when hints are merged on the tree incorrectly. To remove a duplicate person, go to the profile of the person you want to delete and select the 'Relations' tab. While hovering over someone in the relations tab you will see a 'broken link' icon which will allow you to remove them from that family or the entire tree. If a person on your tree married more than once, it is quick and simple to add another spouse to their profile. Select the profile of the person you want to add another spouse to and choose their 'Relations' tab. From here, click the blue '+ Add relation' button. 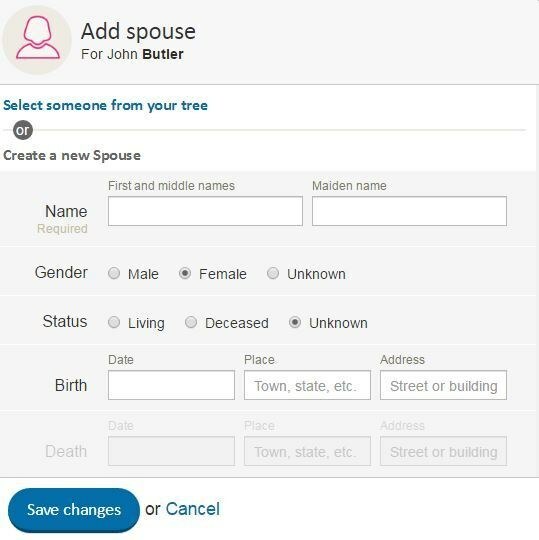 This will allow you to add a spouse to that person's profile either by choosing an existing person on your tree or by adding a brand new person. You may want to indicate an adoption by adding multiple sets of parents but this is not possible. You'll either need another tree with the separate set of parents or you can just add the details of the adoption as a fact on that person's profile. To do that, go to their profile, select the 'Facts & events' tab and click the blue '+Add fact' button. From here you can select 'Adoption' from the list and add the details.